Here is the wrap-up for 24-Hour Blog Day 2011. First, the concept. We got the idea from 24-Hour Comic Book Day. Basically, within a 24-hour time span we will produced 24 unique blogs on varying subjects. The topics were written down by ourselves and other non-participants and put into a box. We only knew the ones we wrote down, everything else was kept a secret. At the beginning of each hour a new topic was drawn and we had to write on that topic. We started at 11 am on February 5, 2011 and ended 11 am February 6, 2011. Not everyone made it, but a surprising amount did. It was a ton of fun and I hope to do it again sometime soon. I will have video footage of it in a “Week In Video” soon. Since unexpected things can happen to blogs, and none of them are self-hosted, I took the liberty of mirroring all the blogs as they were when they were written. Everything from the style of the page to the pictures are preserved forever in the annals of Killer Tofu. Anyway here are links to the mirrors as well as links to the actual blogs. Enjoy! On Cartoons and Subsequently Anime. I am a pretty big fan of cartoons. I am 23 now and I feel if I haven’t outgrown them yet I probably never will. I am going to let my nerd spill out a bit here. I want to discuss Anime or Japanese Animation. It is a pretty taboo topic because the people who are usually attracted to this, at least in America, are total dwamboos. The picture it conjures up is an unshowered, bepimpled high schooler ensconced in black. Unfortunately, this isn’t untrue. This scares a lot of people off, but there is a lot that Anime offers that does not find it’s way into American cartoons. For one, Anime deals with more adult themes such as death and loss. Anime can deal with love in a more real romantic sense than just boy likes girl. The art, in my opinion, is far superior. It’s more sharp lines. I know a trademark of Anime is that they use less frames for talking which seems like a lazier art style, but to me each frame contains far more detail. Look at something like a Miyazaki film. Gorgeous. If you are leery of Anime because you think it’s too childish or weird I can point you into some directions that you most certainly should watch. 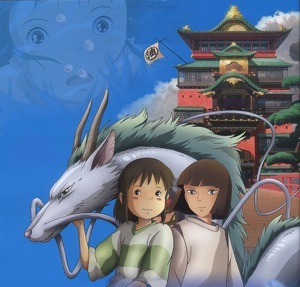 My favorite Miyazaki film far and away. It is gorgeous, fun, and couldn’t have better design. It has a lot of themes that relate to Shinto, but an understanding is not required to enjoy this movie. Honestly, if you have never watched Anime. This is the one to get started with. This is probably my favorite anime series. I wrote about it prior, but in short it is the most adult themed Anime I have ever seen. It deals with War, love, loss and is just heartbreaking. 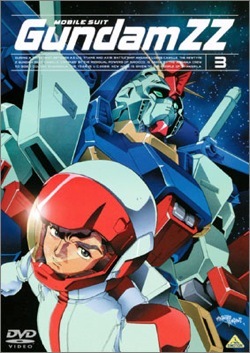 While I completely recommend it, you will need a little back story as it is a followup series to Mobile Suit Gundam (Gundam 0079); I suggest just looking up a synopsis because it is incredibly slow. The followup to this series had a theme song called “Anime, Ja Nai” which in English mean “It is not Anime.” Up to this point Anime hadn’t dealt with such serious themes and ZZ brought the heavy. 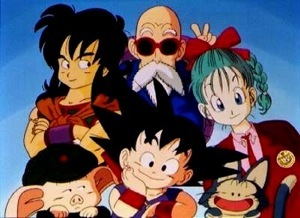 No, not Dragon Ball Z or Dragon Ball GT, but Dragon Ball. This is the series that started it all. It is not at all like its predecessors. It’s hilarious, and cute. It is a LONG series at 153 episodes, but it is fast paced and just an overall great series. It is intimidating, but you will be rewarding by watching it. I know I have based American cartoons for not dealing with more adult natured themes, but there is one series that bears mentioning is Avatar: The Last Airbender. If you haven’t seen it. Go watch it. Fantasmic. 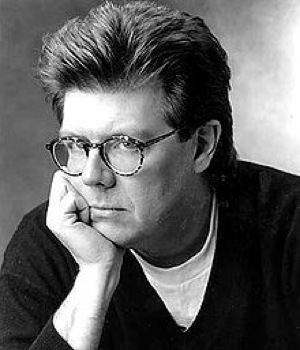 If you were to name off a list of 80s movies there will almost always be several by the late, great John Hughes. He epitomized the teen dramedy. Not only that, but he pretty much made Molly Ringwald’s career. Just look at his list of movies. he is the reason the 80s existed. In history classes if they are trying to teach the 80s all they need is a broad shouldered power suit, these movies, and a bag of cocaine. I know this post is laced with hyperbole, but much of it stands true. These movies were integral in that time period and John Hughes is to thank for that. He has a bevy of other films under his belt, and they are great, but I feel he had no single greater impact than in the 80s. It is a shame we lost him in 2009 and at a relatively young age (59) he could of kept brining us joy for years to come. And because this comic is fantastic, check it out. More can be found at Hark! A Vagrant.